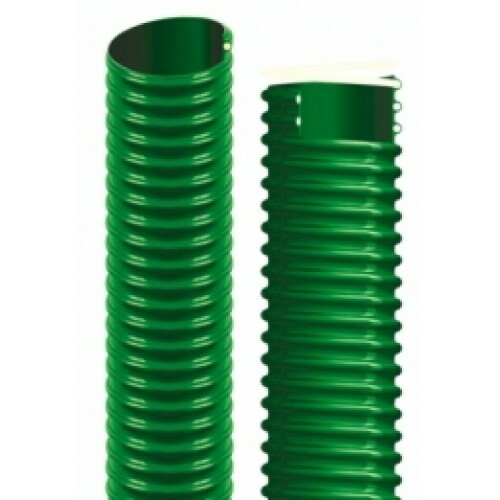 Technical features: Flame resistant PVC ducting reinforced by an anti-shock rigid PVC spiral. Inside perfectly smooth, outside corrugated. Properties: high mechanical characteristics, very light and flexible, resistant to weather conditions, ageing, hydrolysis, UV rays and most chemicals. Standards: Flame retardant according to UL 94 V0, RoHS 2011/65/EU Directive, REACH Regulation (1907/2006).